Even though during my stay in Venice there were not that many tourists, the main areas still had a good bit of water traffic going on! In fact, some areas were so packed that suddenly you had three lines like on a motorway! 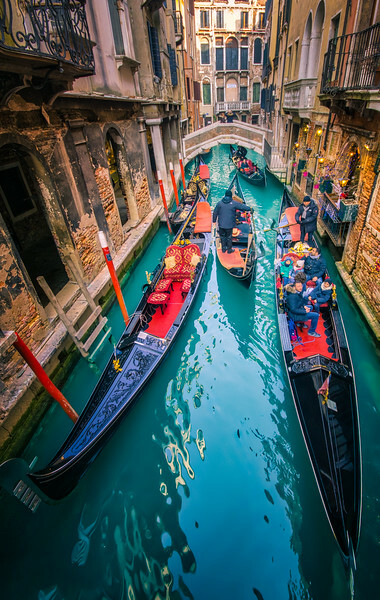 The people that run the gondolas are absolutely skilled though - they barely slow down and they can maneuver this relatively large boat without any trouble through even the smallest places.